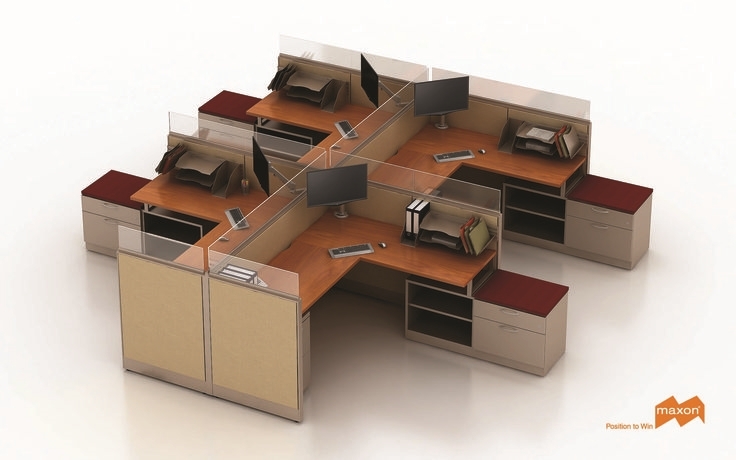 Maxon Emerge & Prefix Cubicles workstations Panel Partition systems furniture. Office furniture should be easy and affordable without compromising quality. Prefix helps you solve this dilemma. Developed with the idea that every budget deserves durable, flexible furniture, Prefix gets you working fast and efficiently. 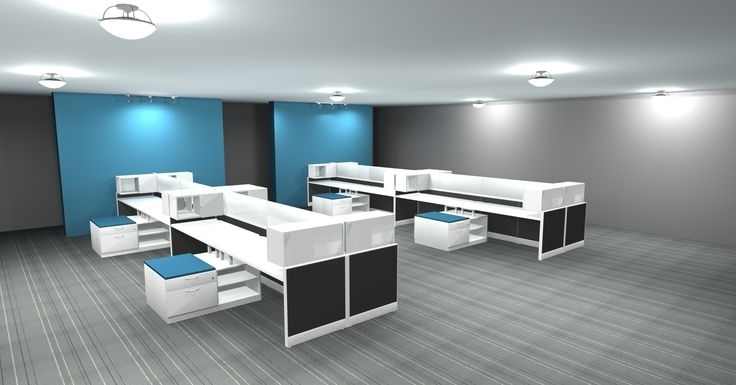 By putting your office first, Maxon makes sure your furniture fits your space and your budget. 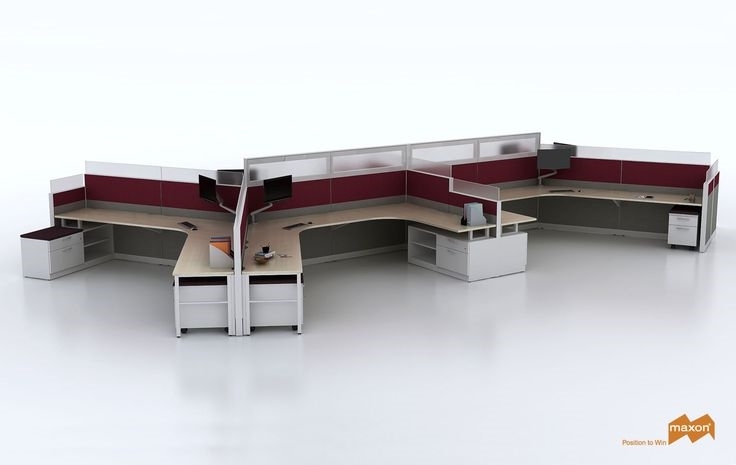 SURPASS freestanding desking offers solid construction with almost unlimited versatility and flexibility. You can build a private office, collaborative teaming station, benching solution or combine it with PREFIX or EMERGE for more privacy. 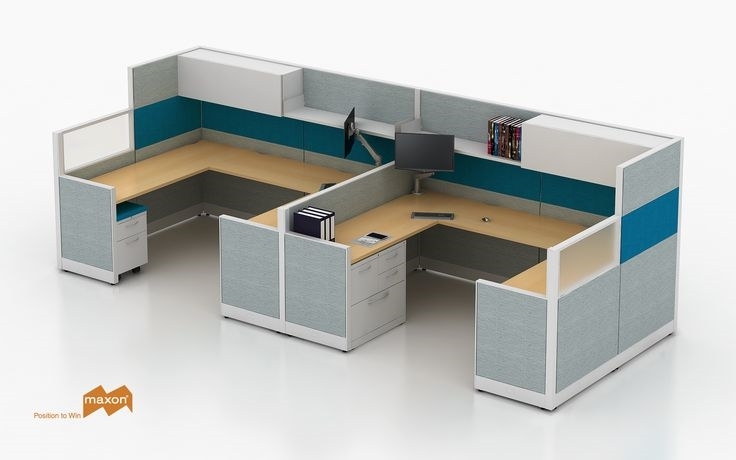 The heavy-duty steel construction and modular design means that SURPASS can be reconfigured as your needs change and still perform in any office environment. Available in all of Maxon's fabrics and finishes, SURPASS will look good long after it's installed and in use. And, of course, it's backed by our Limited Lifetime Warranty. Maxon Furniture is a division of the second largest manufacturer (HNI Corporation) of office furniture in the world. Each HNI company focuses on very specific customer needs; Maxon puts you in a position to win with performance products and value pricing. As a member-owned company, we have a vested interest in your success, which is why we place a high importance on LEAN and Rapids Continuous Improvement. Throughout HNI these best practices and shared services are utilized so that when our processes improve, we can pass those savings to you. When you collaborate with Maxon, we have a team of experts ready to exceed your expectations; from space planning and finish selection to order entry and shipment tracking. Our special teams (Central Space Planning, Installation Specialist, Product Manager, Customer Support & Sales Ops) are on standby to hit the ground running should you ever need us. Unlike larger companies, Maxon has the ability to make quick decisions and do what is best for your project without compromising quality or budget. Improving your World, for Generations. Every Maxon product line (EMERGE, PREFIX & SURPASS) is SCS Indoor Advantage Gold certified as well as Level 2 certified by BIFMA’s Sustainability Program. Both of these methodolgies review our manufacturing materials, recycling habits, lean processes and indoor air quality. This can help you achieve your LEED Certification and reaffirms our say-do commitment to your environment. America Strong - Made in the USA. Government customers in the US and abroad can take advantage of our GSA/FSS program through our Government Specialist. He is a 20 year military veteran and has 9 years of industry experience solely in the Government channel. He can help you with our Worldwide Navy BPA (we are authorized worldwide), state contracts (some have cooperative purchasing clauses) and state/local agencies (including education and select non-profits). While we are an international corporation, most of Maxon’s product is made in the USA.